Aston Martin will race Le Mans and and the FIA World Endurance Championship in this gorgeous, Gulf-liveried racer. 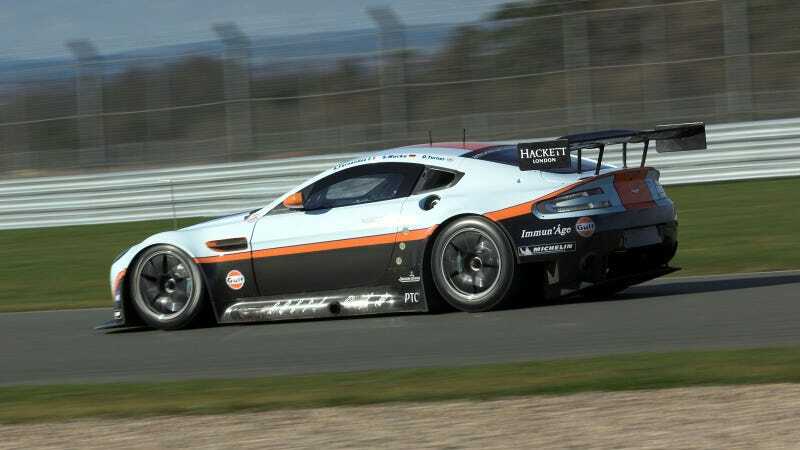 The car is a "development" of the Vantage GT2 with the V8 engine. If you want to see it in the U.S. it'll appear at Laguna Seca and Long Beach for a couple of ALMS warmups.